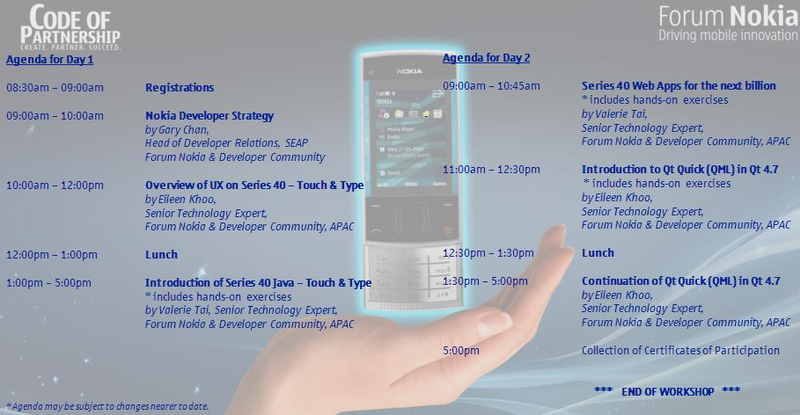 Next week, Mon & Tue (9-10 May 2011), I will attending this workshop as to equip myself the latest trend from Nokia Series 40 Web App. Here is the agenda. We are addicted to this Nokia Workshop. Free Nokia N8 & X3 Touch & Type to those who had attended the workshop & submit the app before June 2011.